Are you looking to escape London for a few hours? Do you enjoy a walk in the country or a leisurely afternoon stroll, but don't want to take your car? 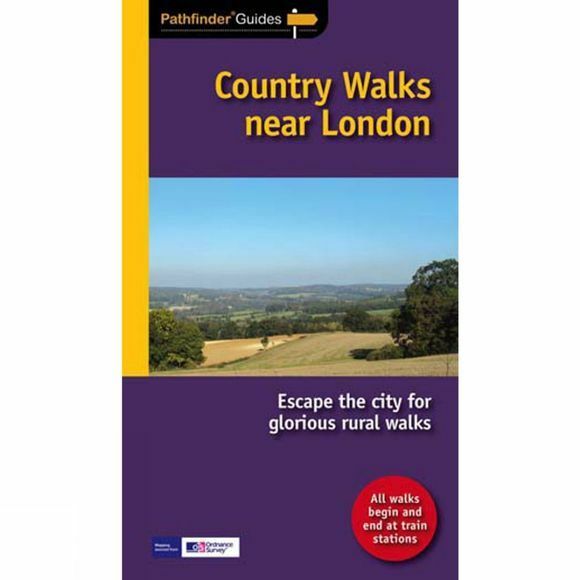 Inside Pathfinder Guide to Country Walks near London are 27 fantastic country walks all starting and finishing at railway stations and within easy reach of London mainline railway terminals. Suitable for walkers of all abilities, this selection of rural walks is hand-picked from eight current best-selling Pathfinder Guides covering SE England. Ranging from 2-12 miles in length, each circular walk takes in some of the many delights of the countryside surrounding London–from meanders between small villages and riverside rambles to hillside hikes and scenic strolls. So if you don't have a car, or want to reduce your carbon footprint and have a truly environmentally friendly and 'green' walk, you can still enjoy the countryside near London with Pathfinder Guide to Country Walks near London. Completely car-free, each walk is graded for difficulty.